Join Alan Powell For" The Soul Mix Show"
Part2... Current & Classic Soul Mix !! Part2 - Current & Classic Soul! 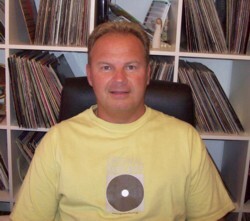 THE SOUL MIX SHOW ON SOLAR RADIO.....7th APRIL..
Part1 - Soulful Jazzy House Mix!! Part2 - Soul Mix !! Part1 - Soulful Jazzy House!! Marcello Cruz & Justin Imperiale - Space In Time - Justin Imperiale Mix (Vybe Boutique)B'Jazz Project pres.